If anyone has any questions about the ride please contact me through wordpress or my email at the bottom of this page. This isn’t some heavily marketed, corporate sponsored, contrived route on a grid of dirt roads. This is an adventure. This is an experience. This is a big ride. Times will be kept and recorded but is this a race? That is up to you. miles. A good portion of the ride is between 9000 and 10000 feet. 35c tires and bigger are perfect. Photo Courtesy of The Long Ranger. START: Meet 6:45 AM in SALIDA at SUBCULTURE CYCLERY, roll out 7:00 AM sharp! We’ll have coffee and pastries for riders. Restrooms are available at the Start. 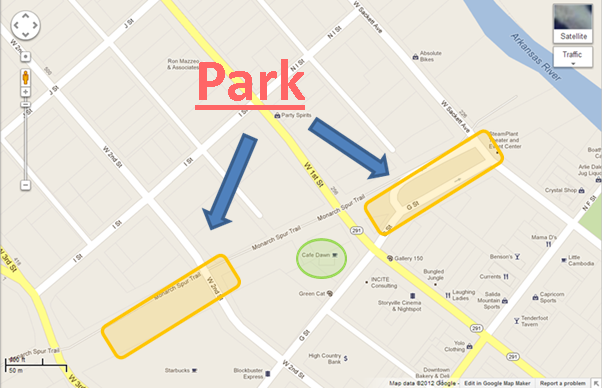 PARKING: Please park in the Parking Lot on the west side of ‘G’ street, by Subculture Cyclery….or park on the North side of Safeway on 2nd street or in the Free Parking Lot west of Safeway. FINISH:* BACK @ SUBCULTURE CYCLERY. Whenever you arrive back in town please sign out at the Finish. Bike wash, showers, beer and some food provided for riders after the ride, everyone is welcome. LODGING: There are a number of hotels in the area. Local favorites are The Simple Lodge and Hostel , and The Woodland both just blocks from the start. There is free camping with a pit toilet at “Salida East” – two miles east (downstream) of town off of Hwy 50. GPS use is highly recommended. – Start at SUBCULTURE CYCLERY, Neutral Rollout across the bridge to CR 175. Go Right on CR 175 and begin the climb. After a mile this paved road turns to gravel. Around 8 miles take the right turn, (uphill) staying on CR 175. Around MM 12 Cross the county line and the top of the climb. At about mile 29 you will turn left on C.R. 2A which turns into C.R. 88 and ride to Highway 9. Turn right on Highway 9 for about 2 miles and you will see the sign to Gufffey, a left hand turn. You can choose to skip Guffey if you want, but its a long way til the next supply in Cotopaxi. Gufffey is about 1 mile up C.R. 102 (paved). There are a few options for food and water. The Rolling Thunder Cloud and The Bakery would be my two suggestions. Then back down the hill to Highway 9. Turn left (south) for about 10 miles to Tallahassee Road/C.R. 2 (big sign) and turn right (dirt). At about mile 60. right after a decent with a switchback, turn right at the intersection to Salida (sign “to Salida”). At mile 77 turn left on Firebox Road and follow the Firebox Loop course back to Salida. Tips and recommendations for success…..
Bring a mountain bike, cyclocross bike, or one of those new fangled gravel grinders (at least 30c tires). 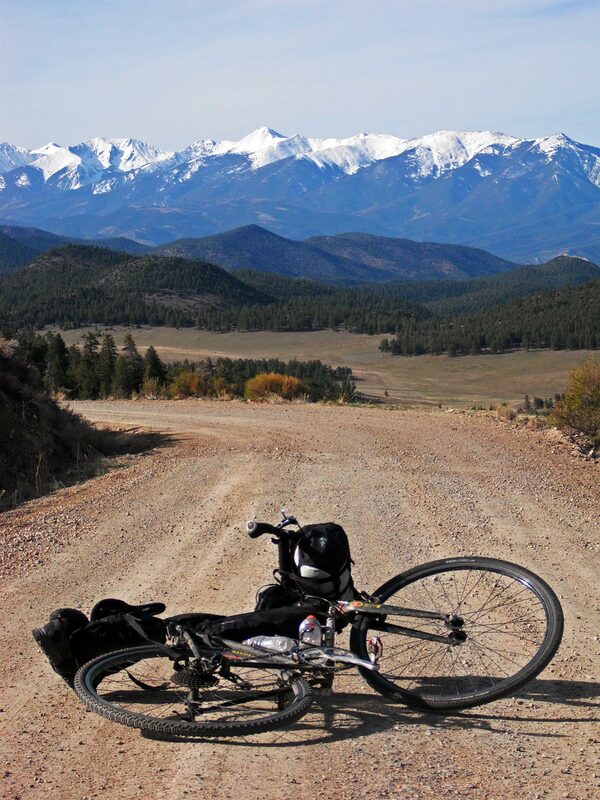 If you show up with a road bike and 25c tires, you’re not really going to dig it to much. Prepare for a day of big miles at altitude. Bring extra food, water and money to get you home. Bring warm clothes and rain gear. Most of the ride has exposure to high winds and the spring rains common in the South Park. Bring lights. A front light powerful enough to light the way and a flashing red tail light to keep you from getting your backside ran over if you’re caught out after dark. Put your cell phone in airplane mode/turn it off. Service is spotty and your battery will drain. DO NOT EXPECT any kind of bail out, sag wagon, sweep or rescue, study the map and have a bailout plan. Prepare to have a good time with like minded folk with splendid views along the way. Contact me with any questions markpwalker@gmail.com. I can also send you a GPX file if needed. For some reason I could not upload it to this site. I’ve looked at all the various pages associated with the event and can’t find where I can download the cue sheets for the ride. Am I missing it? top left of page is a tab for cue sheet. The roads should be fine as long as there is no freak snowstorm in the 3 days leading up to this event. All of the roads with the exception of Herring park are plowed, but things are pretty clear in Salida right now as we are mtn biking at 9000 feet and Aspen ridge jeep trail up to 10,000 feet is clear. I think you can export a GPX from the bike route toaster link under the garmin one. Has a date been set for 2017? The ride is still on, no major amounts of snow. We have had some moisture the last few days, could be a little muddy here and there. I have also posted an alternative 70 mile route that is good too. I blog often and I seriously thank you for your content. Your article has truly peaked my interest. I am going to book mark your site and keep checking for new details about once a week. I opted in for your RSS feed too.